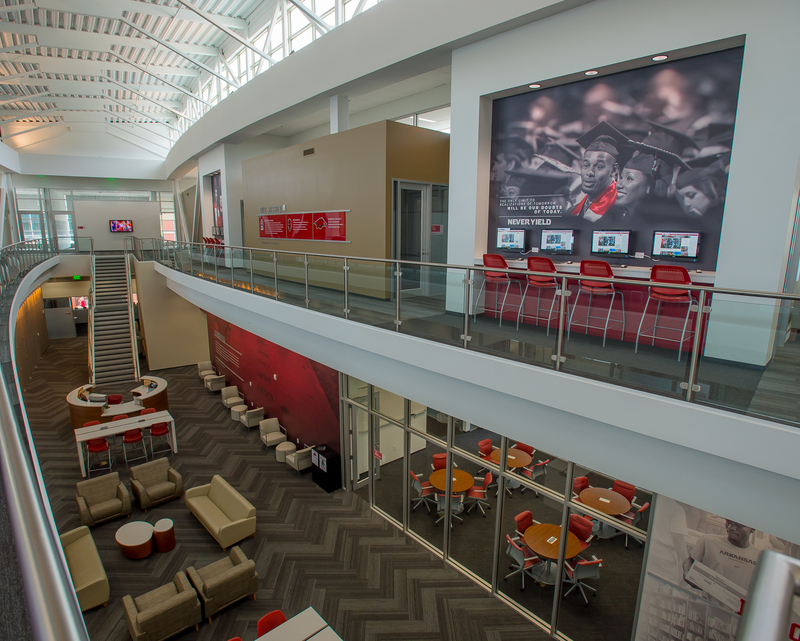 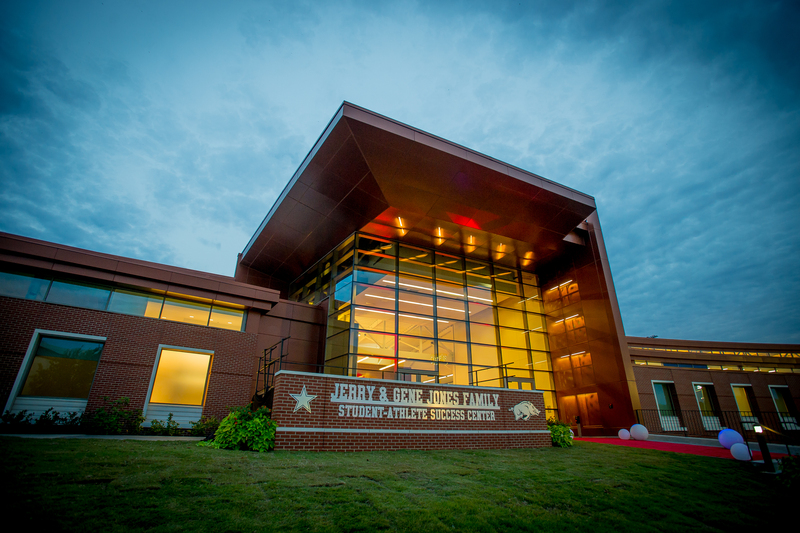 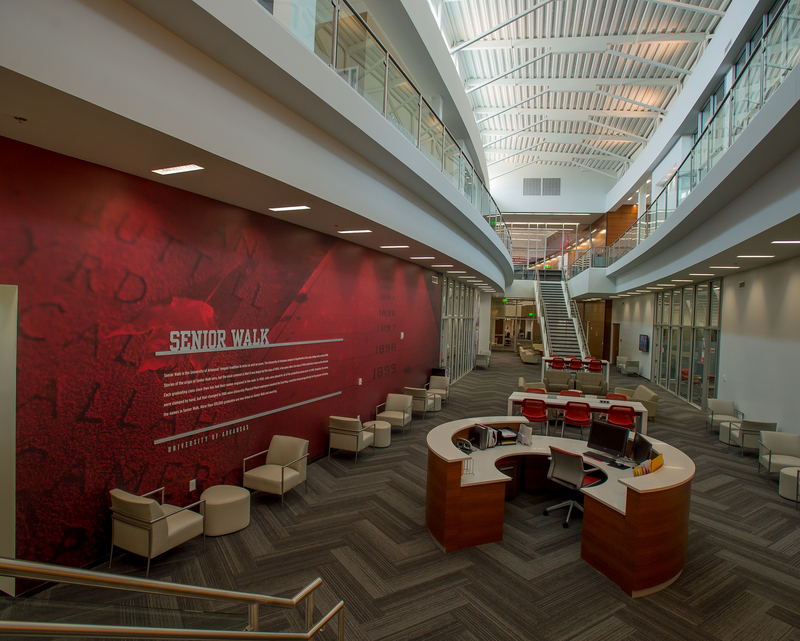 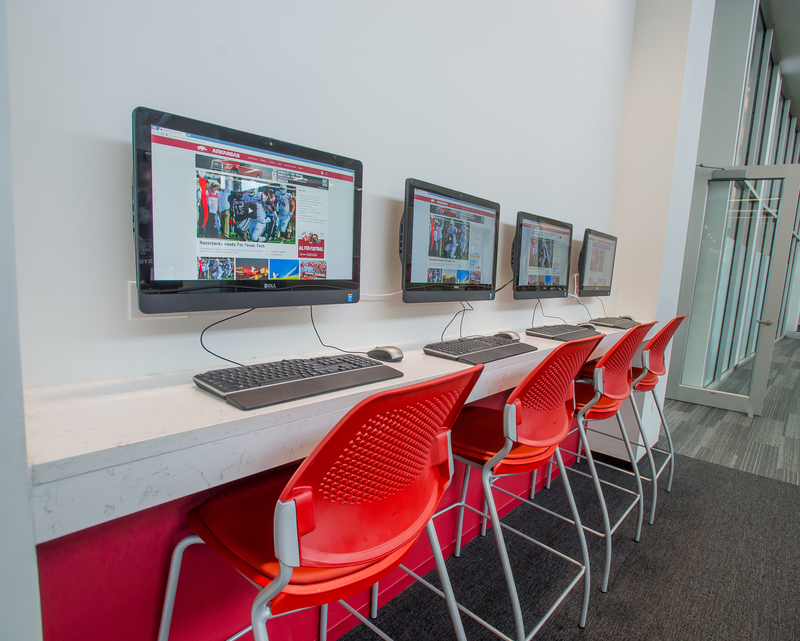 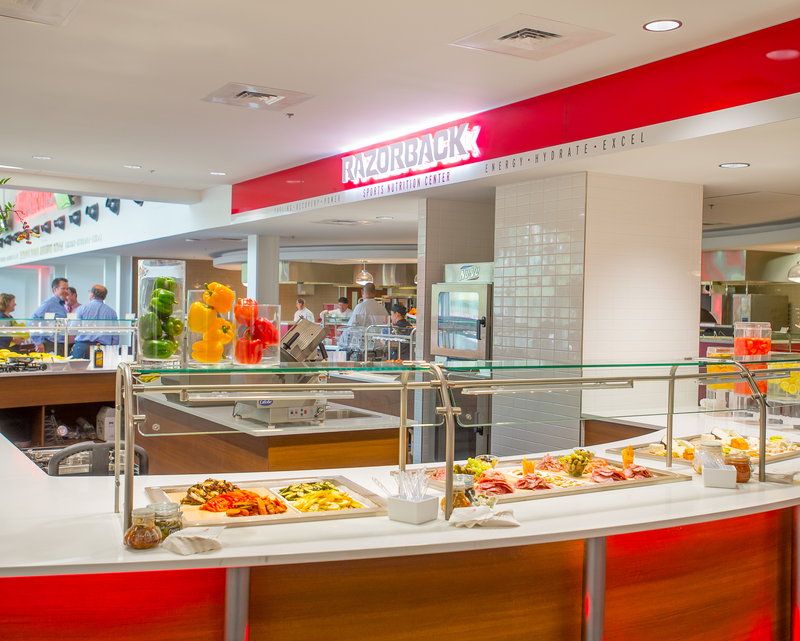 Opened in 2015, the Jerry & Gene Jones Family Student-Athlete Success Center was designed to address the academic, nutritional, personal and professional development of more than 460 student-athletes, creating an integrated academic support program focused on graduation of all student-athletes at the University of Arkansas. 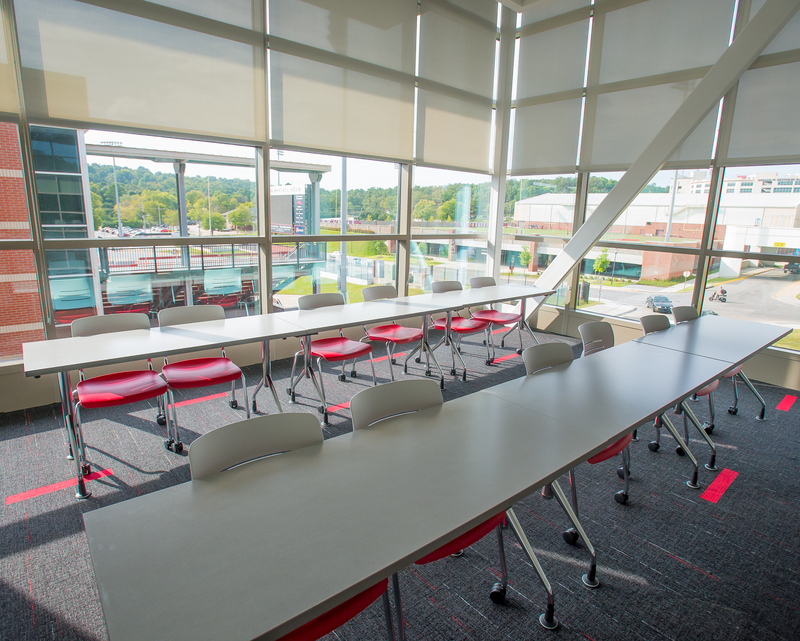 • 37 Tutor Rooms (10 Large rooms for 6-8 people and 27 Small rooms for 2-4 people). 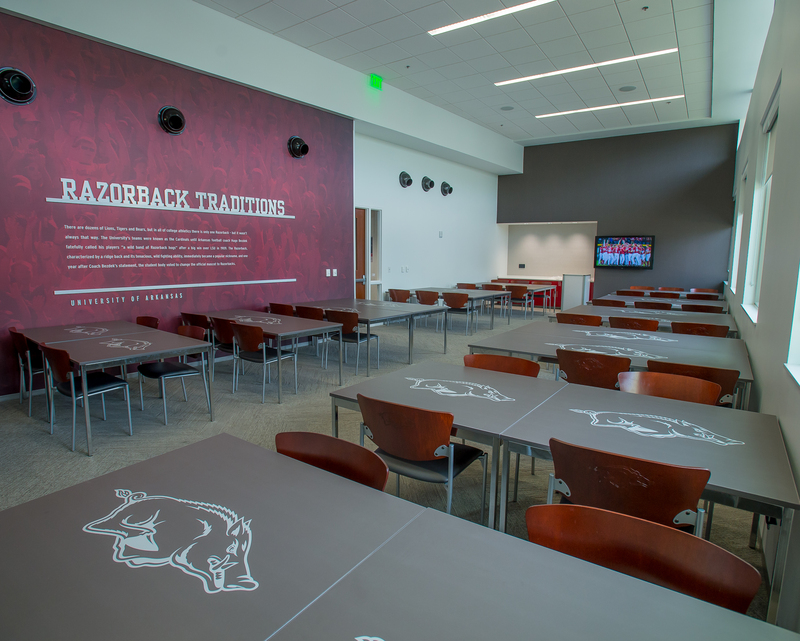 • 138 Seat Auditorium (Designed for hosting the Razorback Leadership Academy, seminars, guest speakers, large group presentations and other Athletic Academic programming with full A/V capabilities).